Click. Click. Double click. No, it’s not my computer mouse. It’s my feet! What’s your superpower? No, it doesn’t feel as bad as it sounds. Actually, it doesn’t feel like much at all, usually. But, yeah, it sounds pretty bad, doesn’t it? Not to be confused with crunching knees. A more dramatic sound effect, certain to terrify innocent bystanders. Yes, there’s a pattern here. Any joint that can pop, probably will pop. 100% chance of perspiration precipitation…Slip, slide, squeak. Don’t let the term fool you. Few things are more therapeutic. In fact, it’s a daily necessity, like food, water, and YouTube dance video binges. 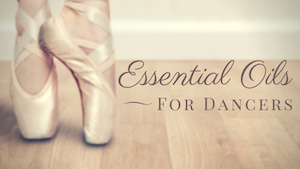 When Should My Child See A Doctor for Dance Injuries? What an entertaining post! thanks for sharing, I loved the choice of gifs.